If you’re going to make a big financial commitment for something like a new car lease, you want to be sure you get the most out of it. If you’re serious about driving a high-quality, dependable vehicle in Mandeville, LA, an INFINITI QX60 lease won’t disappoint. Not only will you get the benefits that come from leasing, but this SUV comes with a host of features you want most. Check out one of these remarkable vehicles today and discover for yourself how it can change your driving experience. With an INFINITI QX60 lease, you’ll have your choice of an all-wheel drive or a front-wheel drive SUV. The QX60 has a continuously variable-speed automatic transmission and seats seven people comfortably. You’ll love the peace of mind and assurance that comes with its four-year/60,000-mile warranty. You have places to go and things to do in Mandeville, LA, so you need a top-of-the-line to give your vehicle the get-up-and-go it needs. The QX60 has a 3.5-liter, 24-valve, DOHC, V6 engine with variable valve timing. It puts out 270 foot-pounds of torque at 4,800 rpm and 295 horsepower at 6,400 rpm. It has a turning circle of 38.7 feet. For as much time as you’ll spend on the road, it’s important to be at the wheel of a car that gets good gas mileage. When you take advantage of an INFINITI QX60 lease, you won’t have to stop at the pump as often. It gets combined 22 miles per gallon, reflecting 19 miles per gallon on city roads and 26 miles per gallon on the highway. This SUV has a large 19.5-gallon gas tank that lets you go 370 miles in stop-and-go traffic and 507 miles on the highway before you’ll need to fill up again. Whether you’ve got daily chores to take care of in Mandeville, LA, or whether you’re transporting a host of other items in your QX60, it’ll provide plenty of storage space. It has a maximum cargo capacity of 76.5 cubic feet and a cargo capacity of 15.8 cubic feet with all the seats in place. It has an EPA interior volume of 165.6 cubic feet and a towing capacity of 5,000 pounds. 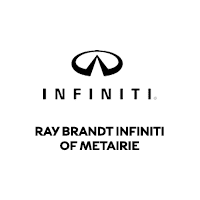 It’s time for you to come to Ray Brandt INFINITI and check out an INFINITI QX60 lease. Join the other happy drivers in Mandeville, LA, who love the many aspects this SUV can offer you and your family.